Ducassou S, Leverger G, Fernandes H, Chambost H, Bertrand Y, Armari-Alla C, et al. Benefits of rituximab as a second-line treatment for autoimmune haemolytic anaemia in children: a prospective French cohort study Br J Haematol. 2017;Accepted for publication. Rodeghiero F, Stasi R, Gernsheimer T, Michel M, Provan D, Arnold DM et al. Standardization of terminology, definitions and outcome criteria in immune thrombocytopenic purpura of adults and children: report from an international working group. Blood. 2009 113: 2386-2393. (PUBMED - Site de la revue). Provan D, Stasi R, Newland AC, Blanchette VS, Bolton-Maggs P, Bussel JB et al. International consensus report on the investigation and management of primary immune thrombocytopenia.Blood. 2010 115:168-186. (PUBMED - Site de la revue). Neunert C, Lim W, Crowther M, Cohen A, Solberg L Jr, Crowther MA et al. The American Society of Hematology 2011 evidence-based practice guideline for immune thrombocytopenia. Blood. 2011 117:4190-4207 (PUBMED - Site de la revue). Bader-Meunier B, Decaluwe H, Barnerias C, Gherardi R, Quartier P, Faye A, et al. Safety and efficacy of rituximab in severe juvenil dermatomyositis: results from 9 patients from the French Autoimmunity an Rituximab registry. J Rheumatol. 2011 Jul;38(7):1436-40. (PUBMED - Site de la revue). Liang Y, Zhan L, Gao J, Hu D, Ai Y. Rituximab for children with immune thrombocytopenia: a systematic review. Plos One. 2012; 7(5)e36698. (PUBMED - Site de la revue). Klaassen RJ, Blanchette V, Burke TA, Wakefield C, Grainger JD, Gaedicke G et al. Quality of life in childhood immune thrombocytopenia: international validation of the kids' ITP tools. Pediatr Blood Cancer. 2013 Jan;60(1):95-100. (PUBMED - Site de la revue). Grainger JD, Young NL, Blanchette VS, Klaassen RJ. Quality of life in immune thrombocytopenia following treatment. Arch Dis Child. 2013 Nov;98(11):895-7. (PUBMED - Site de la revue). Cooper N.; A review of the management of childhood immune thrombocytopenia: how can we provide an evidence-based approach? Br J Haematol. 2014 Jun;165(6):756-67. (PUBMED - Site de la revue). Grimaldi D, Canouï-Poitrine F, Croisille L, Lee K, Roudot-Thoraval F, Languille L et al. Antiplatelet antibodies detected by the MAIPA assay in newly diagnosed immune thrombocytopenia are associated with chronic outcome and higher risk of bleeding. Ann Hematol. 2014 Feb;93(2):309-15 (PUBMED - Site de la revue). Heitink-Pollé KM, Nijsten J, Boonacker CW, de Haas M, Bruin MC. 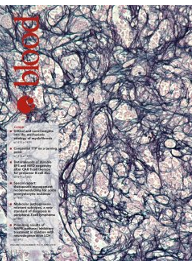 Clinical and laboratory predictors of chronic immune thrombocytopenia in children: a systematic review and meta-analysis. Blood. 2014 Nov 20;124(22):3295-307 (PUBMED - Site de la revue). Lanzarotti N, Bruneau J, Trinquand A, Stolzenberg MC, Neven B, Fregeac J et al. RAS-associated lymphoproliferative disease evolves into severe juvenile myelo-monocytic leukemia. Blood. 2014 Mar 20;123(12):1960-3. (PUBMED - Site de la revue). Duchamp M, Sterlin D, Diabate A, Uring-Lambert B, Guérin-El Khourouj V, Le Mauff B et al. 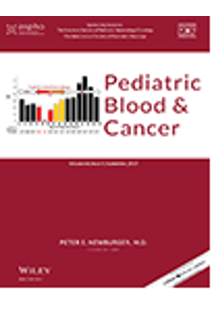 B-cell subpopulations in children: National reference values. Immun Inflamm Dis. 2014 Nov;2(3):131-40. (PUBMED - Site de la revue). Seidel M. Autoimmune and other cytopenias in primary immunodeficiencies: pathomechanisms, novel differential diagnoses, and treatment. Blood. 2014 October 9; 124(15): 2337–2344. (PUBMED - Site de la revue). Zanella A, Barcellini W. Treatment of autoimmune hemolytic anemias. Haematologica. 2014 Oct;99(10):1547-54. (PUBMED - Site de la revue). Levy R, Mahévas M, Galicier L, Boutboul D, Moroch J, Loustau V et al. Profound symptomatic hypogammaglobulinemia: a rare late complication after rituximab treatment for immune thrombocytopenia. Report of 3 cases and systematic review of the literature. Autoimmun Rev. 2014 Oct;13(10):1055-63. (PUBMED - Site de la revue). Reynaud Q, Durieu I, Dutertre M, Ledochowski S, Durupt S, Michallet AS et al. Efficacy and safety of rituximab in auto-immune hemolytic anemia: A meta-analysis of 21 studies. Autoimmun Rev. 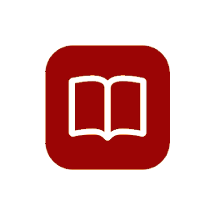 2015 Apr;14(4):304-13 (PUBMED - Site de la revue). Picard C, Al-Herz W, Bousfiha A, Casanova JL, Chatila T, Conley ME et al. Primary Immunodeficiency Diseases: an Update on the Classification from the International Union of Immunological Societies Expert Committee for Primary Immunodeficiency 2015. J Clin Immunol. 2015 Nov;35(8):696-726. (PUBMED - Site de la revue). Rohmer B, Valla FV, Baleydier F, Launay V, Dommange-Romero F, Pondarre C. Newly diagnosed immune thrombocytopenic purpura in childhood: successful implementation of a limited intervention strategy in the setting of pediatric emergency care. J Pediatr. 2015 Feb;166(2):480-2. (PUBMED - Site de la revue). Miano M. How I manage Evans Syndrome and AIHA cases in children. Br J Haematol. 2016 Feb;172(4):524-34. (PUBMED - Site de la revue). Ghosh S, Seidel MG. Current Challenges in Immune and Other Acquired Cytopenias of Childhood. Front Pediatr. 2016 Feb 2;4:3. (PUBMED - Site de la revue).